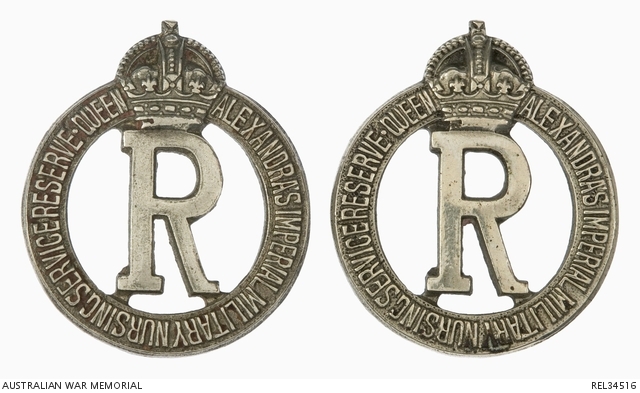 Mildred Roberts was an Anzac Nurse, she left Perth in 1915, enlisted in the Queen Alexandra Imperial Military Nursing Service and was posted to Beaufort on the 2nd June. Her service records show us that she had a uniform allowance of £8. She served under Matron Kate Underwood as a staff nurse, but by July she already had itchy feet and applied several times for Overseas Service. In November 1918 she got a bad case of influenza and took one month’s leave, her hopes for serving in Egypt over as she is then recorded in her as: fit only for Home Service. She was discharged in May 1919 and returned to Australia. Sadly, the reply to her letter tells us that she was not selected to attend The Coronation. I am directed to inform you with regret that no overseas nurses with war service are being nominated to take part in the Coronation procession. Further, owing to the limited number of seats available their allocation has had to be strictly confined to serving members of Queen Alexandra’s Imperial Military Nursing Service and Reserve.